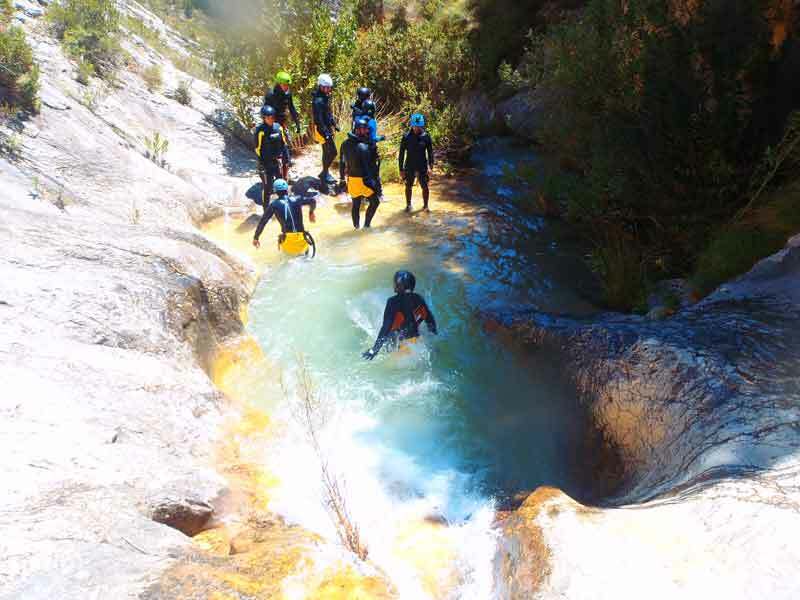 The Barranco de la Higuera, is a very varied ravine where you will find spectacular rappels, a good jump and the only shuttle slide you can find in the Region of Murcia. The last rappel of 23 meters will let us fall in the river which we will descend swimming around 1km. To finish in one of the most unique pools of our land, the pool of the Gorgotón, a unique pool originated by the natural outlet of the Calasparra syncline. There is the possibility of combining this activity with the Via Ferrata de Almadenes. Discover why so many customers are enjoying this aquatic activity and more and more in demand. 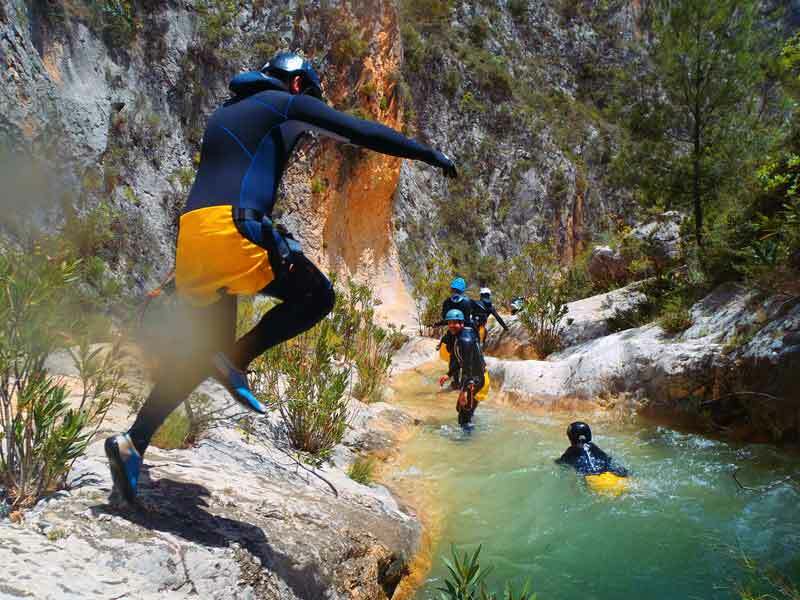 The only aquatic ravine in the Region of Murcia, will not leave you indifferent the beauty of the landscape, the fun and the adrenaline that will awaken in you this experience. The activity includes monitors, civil liability and accident insurance, necessary material approved by the EC, theoretical-practical talks and Photographic Reporting. Optional HD Video. Come and discover why in recent seasons this is one of our most requested activities by lovers of adventure and discover a place of incomparable beauty with an intense green and waterfalls throughout its journey, we assure you that you will not forget it easily. ..
INCLUDES: monitors, civil liability and accident insurance, necessary material approved by the EC, theoretical-practical talks AND photographic report. Optional HD Video. Barranco del Buitre. In the area of ​​Castril (Granada), the ravine begins as soon as it enters the channel. It is a succession of rappels that finish in two of25 meters. impressive Short, vertical and narrow ravine. Very pretty. 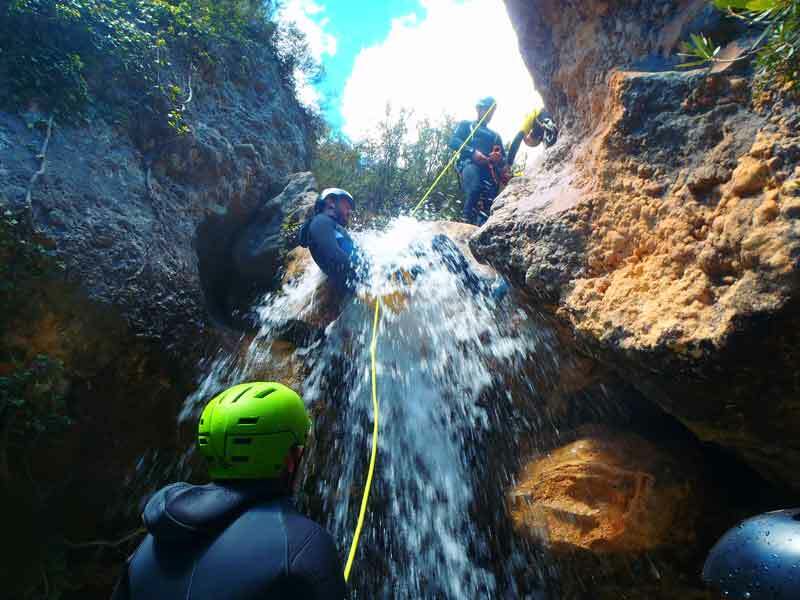 The last rappel leaves you inside the Fuente del Maguillo, a permanent suggestion of water. This ravine can be combined with others for the area and is also suitable for beginners. 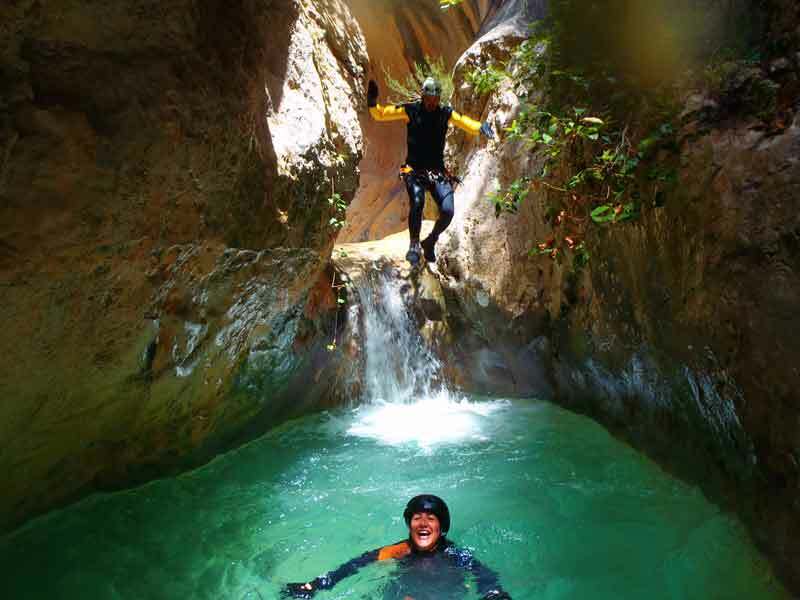 This ravine is among the most popular in Canyon and Canyon apart from its fun and landscapes for its great rappels that will not leave you indifferent. We will provide you with everything you need for the realization of the activity, plus we will give you free of charge a Photographic Report so you do not forget one of the most complete experiences that we offer. A good ravine to open to the canyoning with a low / medium difficulty. 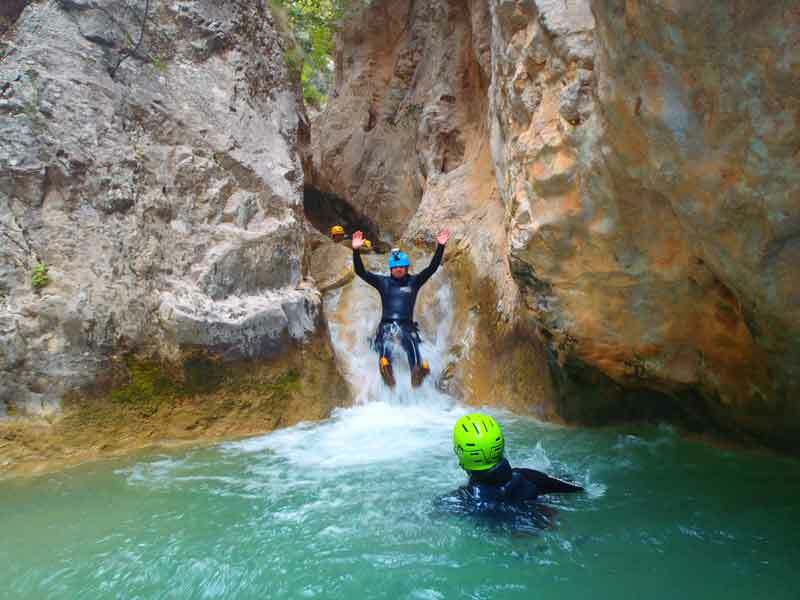 The biggest attraction of this descent are, without a doubt, the innumerable waterfalls that can be done during the whole tour, as well as the different pools and waterfalls. In the last phase of the ravine we find a final surprise that hides a 25-meter racket next to an impressive waterfall. It is located in the town of Anna in Valencia.